Refer to the exhibit. All switches in the network have empty MAC tables. 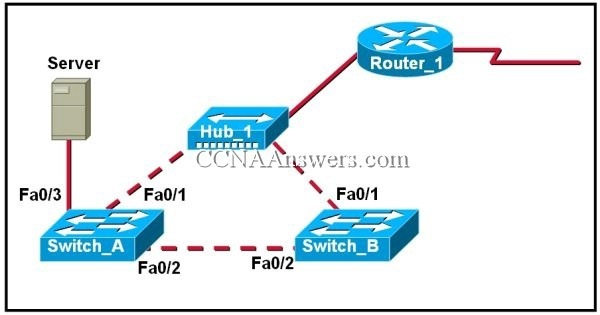 STP has been disabled on the switches in the network. How will a broadcast frame that is sent by host PC1 be handled on the network? Refer to the exhibit. What can be determined from the output shown? Refer to the exhibit. The spanning-tree port priority of each interface is at the default setting. The network administrator enters the spanning-tree vlan 1 root primary command on S4. What is the effect of the command? Refer to the exhibit. Server sends an ARP request for the MAC address of its default gateway. 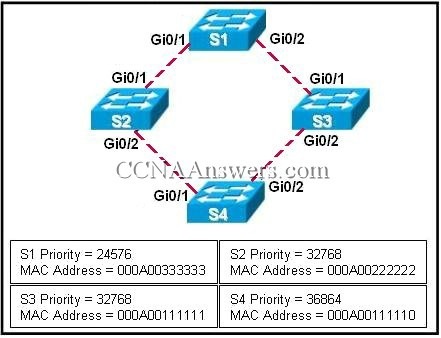 If STP is not enabled, what will be the result of this ARP request?